2015 is off to a great start! 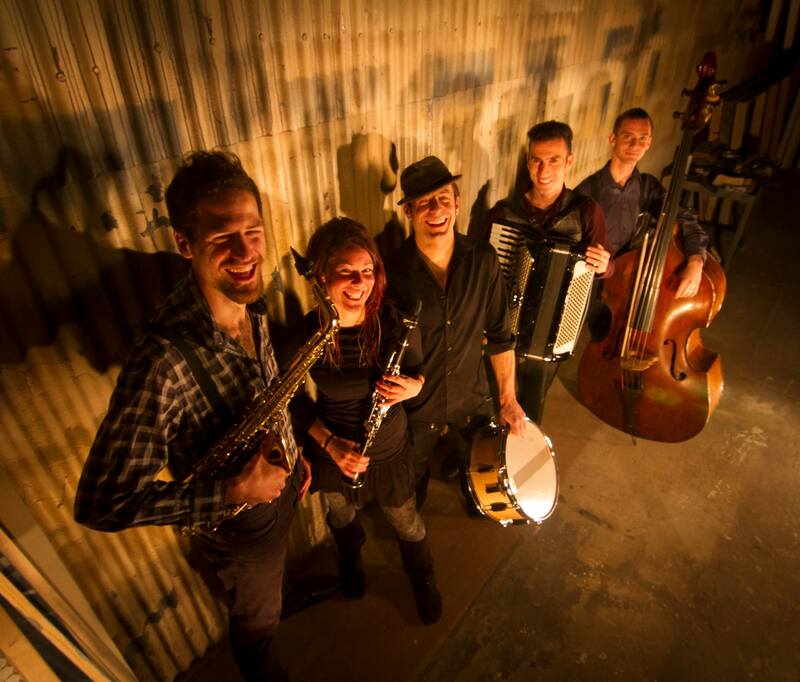 February continues the good times with our favorite Serbian/Roma party band, Mano Cherga, with the lush Balkan sounds of Sabaya and La Pêche! Sabaya is Diana Strong (accordion), Briana Di Mara (violin), and Faisal Zedan (percussion) — a newly formed trio of accomplished Bay Area musicians, performing traditional and original melodies inspired by the music of the Balkans and Near East. With rich harmonies, danceable grooves, and soulful improvisation– joined by special guest Morgan Nilsen on clarinet– Sabaya (meaning “the girls” in Arabic) is more than just the girls! Ladies and gentlemen, we welcome you to The Mano Cherga Band experience! Wailing of the accordion, violin trills, clinking of the glasses, wind from the skirts on the dance floor, sweat running down your back, a smile on your lips, and tears in your eyes. That’s what it’s all about for us, and we love to share those moments with you. 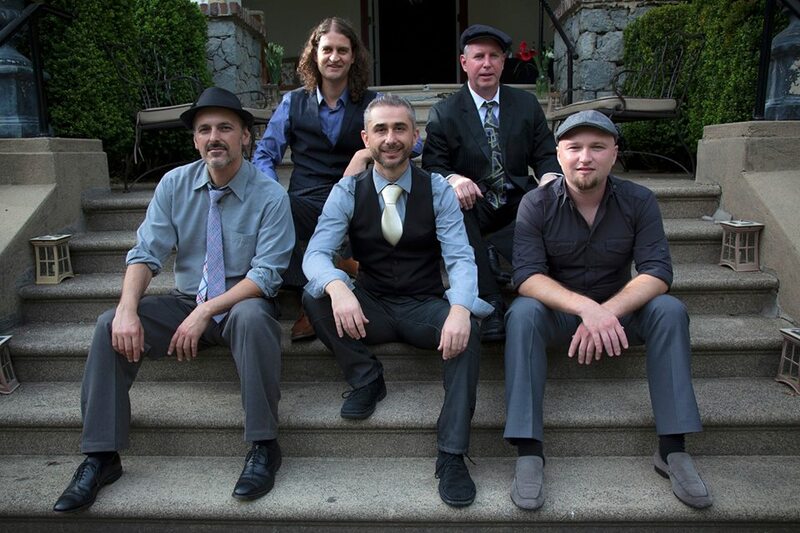 We are Haluk, Beodan, Sasha, Ed and Zhenya – violin, guitar/voice, accordion, drums, bass. Folk and Roma songs from all over the Balkans, played with a lot of heart. La pêche is an ensemble of young Bay Area musicians, coming from backgrounds as diverse as hard rock, philharmonic orchestra or balkan brass. Out of this collaboration comes a music that is at the crossroads of European folkloric traditions and jazz & improvised performance. “La Pêche” refers to a witty French expression for a heighten physical and spiritual state ; which the group aims to convey with their wild improvisations, deep soundscapes and fiery compositions. ← January 2015 – more Bacchanal!